In this article, we will see the basic differences between WooCommerce Stamps.com API and ELEX Stamps.com Shipping Plugin with USPS Postage. Since USPS may scrap online label printing anytime soon, the search for an alternate becomes important. We’ll explore the aforementioned plugins as the alternatives to USPS Online Label Printing API. We’ll have a very straightforward analysis of the two really advance shipping plugin and will be based on a few important parameters of logistics. And these parameters pretty much affect logistics in terms of efficiency. The following parameters will be tested on both the plugins since the question remains the same regardless of the brand. Ease of use: How easily can a store owner use all the features available? Label & Tracking: How label generation and tracking services work? Cost Effectiveness: Which one fits the best to my business needs and financial estimate? Rates & Services: What are the options available for shipping rates? Packaging: Does it have ample options for packaging and are they done efficiently? Customization: Can I have an additional customized feature added to my premium plugin? It generates and prints for USPS at the admin page of your WooCommerce store. This works best when integrated with their WooCommerce Shipping Method extension which displays USPS rates. That simply means to spend your hard earned $ for no reason at all. The reason being, WooCommerce USPS Shipping Method Plugin does it for free. This plugin displays USPS Shipping rates for customers and allows you to generate and print the labels for USPS. Unlike its counterpart, it doesn’t require three separate plugins for showing rate, printing labels and to automate tracking. So let’s dive deeper and point out similar contrasts between the plugins in consideration. The target is to limit our choices to one, and the best Shipping Plugin based on USPS services. First thing first, with ELEX Stamps.com API, we don’t have to install any extra plugin but WooCommerce Stamps.com API is strictly meant for generating and printing labels purposes only. So managing two different plugins for one job does not seem very user-friendly. Further tracking has to automated manually. We’ll discuss more on that later in the article. ELEX Stamps.com Shipping Plugin with USPS Postage for WooCommerce has been made user-friendly over time. Shipping options are categorized into different tabs. For example, we have a different tab for General settings, Rates and service, Label generation, Packing options, and API settings. So if you have to set packing options you can directly move to Packing Tab. This somehow sorts complications for new users. ELEX provides you a live demo so that user check the usability before deciding to buy it actually. You can find the demo version here (Username: demo; Password: demo). WooCommerce Stamps.com API Integration is meant for generating labels and printing USPS postages, so the settings page is dominated by Stamps.com account setting, account funding, and Label settings. And there is no mention of packing and pricing. That makes it slightly less usable. Also, the extra extensions may lead to the lagging of servers and you might not want it. Because fetching of rates and quick execution of payments effects successful conversion of customers. Lack of a demo or free version makes it tough for a new user to check the usability of the plugin. You actually need to buy the plugin, both of it. And If you’re unhappy with your purchase, they offer a 30-day money-back guarantee. ELEX Stamps.com Shipping Plugin with USPS Postage for WooCommerce is available for $69.00 with all the essential features. This covers free support and updates for one complete year. The plugin stays functional once bought. You can renew end-to-end support and updates after the first premium year at 20% discount. You are also covered by a 30 days refund policy, in case the product doesn’t meet your business requirements. In addition to this, you pay a monthly subscription charge. You pay for the postage used through your Stamps.com account. These postage rates are discounted prices and are less than that of actual USPS rates. On the other hand with WooCommerce Stamps.com API Integration, firstly you pay for an annual subscription of WooCommerce Stamps.com API Integration of $79.00. Secondly to display shipping rates you are recommended to buy the WooCommerce Shipping Method for $79.00 annually. Finally to get going with postage printing you need to buy another subscription from Stamps.com billed at $15.99 (Subject to change) per month plus charges for your postage consumption. Here is a better alternative to that, you can download our Free WooCommerce USPS Shipping Plugin to fetch USPS rates and Free WooCommerce PDF Invoices, Packing Slips, Delivery Notes & Shipping Labels for printing Labels. When combined these two have 10,000+ active installations. These two basic plugins do everything WooCommerce Stamps.com API does, except paying for postage online. So why take a premium plugin for no reason at all? Here is the answer. Any premium plugin will give you assured end-to-end support and timely updates. Contrary to that basic versions have only basic functions. Premium plugin developers have end-to-end support a priority. ELEX Stamps.com Shipping Plugin with USPS Postage for WooCommerce prints label with USPS Postage. And packages having these Labels are easily picked by USPS personnel from your store. You just need to schedule the pickups with the nearest USPS PostOffice. Label printing is available for both Domestic and International shipping. You also get an option to show rates to buyers in countries which don’t have a ZIP code. You can select “Show rate whenever available” to show rates based only on the address. Hidden Postage option in this plugin allows you to hide the actual amount paid for the Postage from the labels. WooCommerce Stamps.com API Integration plugin print labels with USPS Postage in the same manner. Printing of Label in the plugin has 4 steps. First, your and the customer’s address is validated with USPS and then matched by Stamps.com. Further, you choose the type of package you are shipping and provide the package type, planned ship date, content value, weight, and package dimensions. By default, value and weight are pre-populated with your line item combined values. Finally, you choose from the rates that appear in the backend. Tracking is automatic with ELEX Stamps.com Shipping Plugin with USPS Postage for WooCommerce plugin. You and your customer receive the automated emails having the tracking id. Both parties get notifications through USPS servers automatically. You can also track the shipments using the Tracking Id manually. You as the store owner get an option to disable this service totally or disable for the buyer. Tracking is not automatic in WooCommerce Stamps.com API Integration plugin without a third party integration. You’ve got to send the tracking id manually to all your customers. It is because tracking id is not stored in the plugin. The tracking Id you receive has to be manually entered to check tracking status. To automate tracking you are recommended to have Stamps.com XML File Extension. This extra plugin allows you to export order to Stamps.com client. Once you install this additional extension you can automate tracking in WooCommerce Stamps.com API Integration. ELEX Stamps.com Shipping Plugin has the clear edge in this field. The screenshot below displays the shipping options available for the customers. You get options to make changes in the shipping rates in two ways. First, by adding some $ amount and second, by adding some percentage to the total shipping price. Shipping Rates are based on the boxes selected in the table here and the packing options, which we’ll see in the next section. Apart from these, the plugin also has the USPS Flat Rate boxes as a service option. You can find more information on rates and available options in the Stamps.com setup guide. WooCommerce Stamps.com API Integration has nothing to be mentioned in this section as the plugin does not provide shipping rates on its own. If you are willing to print labels using this plugin from WooCommerce only, you will need a different plugin for displaying Rates and Services to your customers. Packing options available with Stamps.com Shipping Plugin are Domestic, International, Flat Boxes Rates. You also get to add custom boxes to fit your products for efficient packing. By following the right packing algorithm, you can reduce your extra expenses in packing. Stamps.com provide personalized help in this regard. Read the blog on stack first algorithm. 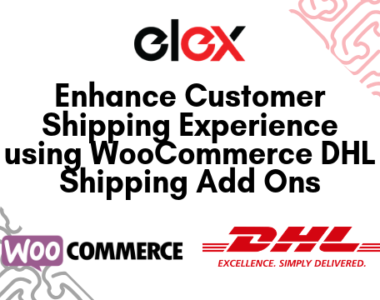 ELEX Stamps.com Shipping Plugin with USPS Postage for WooCommerce and its wonderful technical support will customize your plugin. This happens with no extra charge and delay. Find out the 10 Handy Customizations, which were a result of customer’s demands. WooCommerce Stamps.com API Integration support team also offers an add-on for a few specific problems, but generally, you need to install separate plugins developed by WooCommerce. Reviews point out that installation of additional plugins slows down your servers. Without very limited functionalities of its own, WooCommerce Stamps.com API, ask for WooCommerce USPS Shipping Method to complete an easy shipping function. For me, it does not seem more than a way to generate more revenue. It’s better to have one plugin which performs all the tasks rather than having multiple plugins performing different actions. Having multiple extensions can delay transactions. And with each 1-second delay, you can lose up to % of your conversions. After all, it’s up to you to choose the right plugin for your WooCommece store. I am hopeful that the article provides you with the right amount of information and the required contrast to identify the better plugin. For more interesting features and premium plugins login here or leave a comment below. You can also post your pre-sales queries at our online support. We’ll be more than happy to respond immediately. Happy Selling!